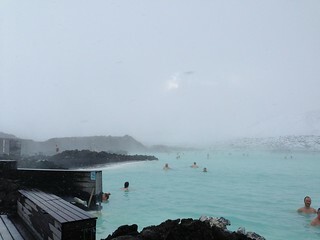 While in Reykjavik, Blue Lagoon is a must visit. 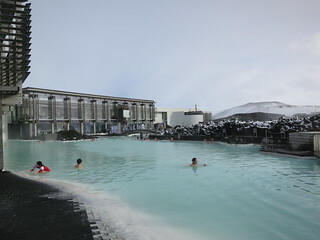 This vast and popular hot springs is easily accessible with the various bus trips that originate from either Keflavik airport or Reykjavik city. I booked with Reykjavik Excursions which seems to have one of the more reasonable prices. I went with the tour that includes prepaid admission so we don't have to wait in line to buy a ticket. We still had to wait a bit, but not as long as the others. Also, when you get there, don't get confused with the line in the first small building - that's for people who want to store their luggage! Instead, keep going on the path heading towards the main building. Once checked in, you will receive a bracelet that actually acts as a key to your locker and also used to charge purchases to your account. Bring your own towels and swimsuits or you can rent them for an extra charge. Some things to note: they will make you shower completely before heading into the lagoon, even if you tell them you just showered at home. Once in, you can stay as long as you want. The RE bus has a set schedule and they are prompt and won't wait around so just keep that in mind. Otherwise, swim around, line up to buy beer while bathing in the hot water, get a mud mask, and relax. After we finished, we went to eat at LAVA Restaurant. 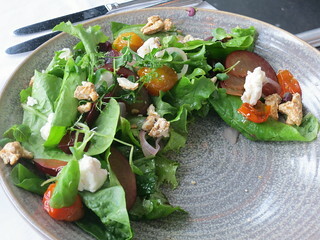 There's also a cafe that you can get a more casual/quick meal at, but we really enjoyed our meal at LAVA. Your RE admission voucher also has a coupon for a free welcome drink - basically blue curacao with either sparkling wine or sparkling water. 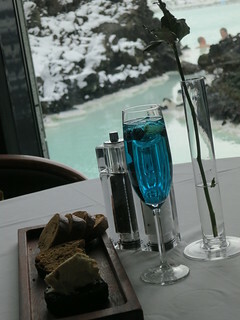 Hey, I will drink a blue drink if I'm at Blue Lagoon, especially with a view. 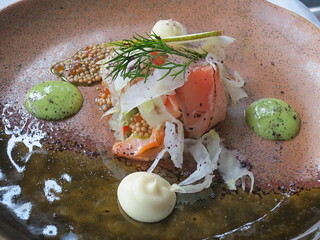 The slow-cooked arctic char is a must get. Served with fennel, pear, char roe, and mustard, the char was delicate and tender - like eating a piece of oo-toro? Combined with the roe that burst with every bite, this was really a wonderful dish. I was determined to have as much Icelandic langoustine as I could while I was there so I had the langoustine soup with garlic marinated langoustine, white chocolate, and seaweed. 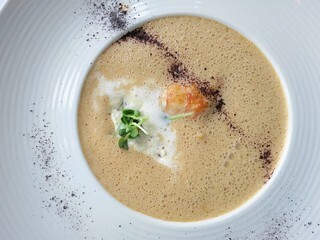 The white chocolate was mixed in with the creamy soup, while the langoustine was succulent. The entree portion was quite big, and I was too full to finish this, but I still enjoyed the meaty yet moist cod - and more langoustines, of course. That part I finished. 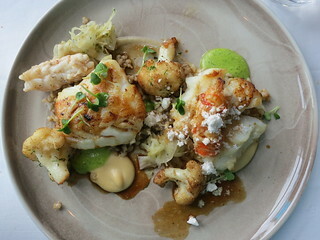 The lunch at LAVA was one of my favorite meals in Iceland. 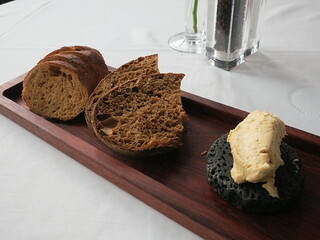 The restaurant is run by head chefs Þráinn Freyr Vigfússon and Viktor Örn Andrésson. Chef Andrésson was actually named Nordic Chef of the Year in 2014 and he also visited Boston to showcase Icelandic cuisine with a great menu at Tavern Road during Taste of Iceland.